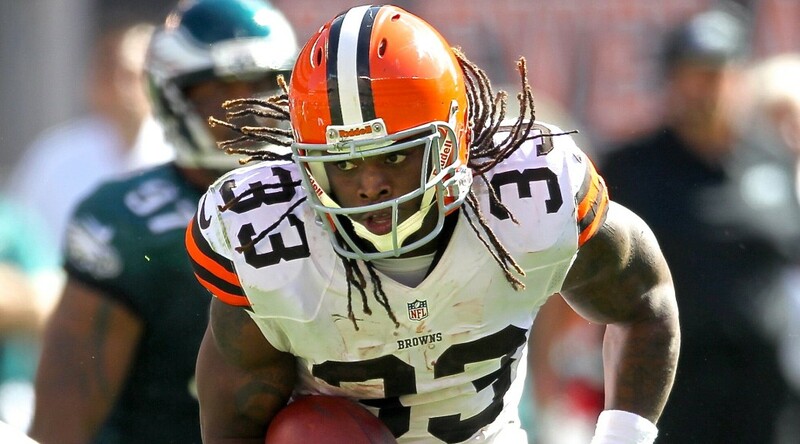 Alameda, California – The Oakland Raiders signs free agent Running Back Trent Richardson. In old-school Raiders fashion, the former third overall draft pick, Richardson gets that much needed fresh start. This is an Al Davis type of move, nothing to lose. A native of Pensacola, Florida, Richardson was originally selected by the Cleveland Browns in the first round (third overall) of the 2012 NFL Draft out of Alabama. In helping the Crimson Tide capture national championships in 2009 and 2011, Richardson played in 38 games, totaling 3,130 rushing yards on 540 attempts (5.8 avg.) with 35 touchdowns. He left Alabama near the top of the school’s major rushing categories, including rushing yards (fifth), rushing touchdowns (third) and rushing average (second). Richardson, 24, has played in 46 games with 37 starts over three seasons with the Cleveland Browns and Indianapolis Colts. His career totals include 614 carries for 2,032 yards (3.3 avg.) and 17 touchdowns to go along with 113 receptions for 912 yards (8.1 avg.) and two touchdowns. Last season in Indianapolis, Richardson played in 15 games with 12 starts and finished with 159 carries for 519 yards (3.3 avg.) and three touchdowns. He also added 229 receiving yards on 27 receptions. The 5-foot-9, 225-pounder rushed for 950 yards on 267 carries with 11 touchdowns as a rookie with the Browns in 2012. His 950 rushing yards set a Cleveland single-season rookie franchise record, passing Jim Brown’s previous mark of 942 set in 1957. Richardson did so by playing the majority of the year with broken ribs. Richardson entered the NFL as one of the most heralded running backs in years after a successful college career at Alabama. Richardson is one of three backs since 1996 to go in the top three picks in the draft, joining No. 2 overall picks Reggie Bush in 2006 and Ronnie Brown in 2005. Richardson was inactive for a divisional playoff game against Denver and was suspended for the AFC championship game against New England because he didn’t contact the team when his girlfriend had pregnancy complications, and he missed mandatory functions. That suspension voided his contract, the Colts argued. Richardson has filed a grievance to recover $3 million in salary. The Raiders needed to upgrade a running game that was the least productive in the NFL in 2014. Richardson was brought in to compete with Latavius Murray, who showed promise last season by rushing for 424 yards on 82 carries (5.1avg.) in limited action. The Raiders won three of their last six games with Murray getting the bulk of the carries, over Darren McFadden. Last week Oakland added free-agent acquisition Roy Helu. Helu is expected to be more of a third down back and he’ll be used in passing situations. One of the most needed upgrades for the Raiders this off season is to get Derek Carr more weapons, and to bolster the running game. Former Chiefs Center Rodney Hudson was alsobrought in to help improve the offensive line. Carr put this out on twitter to his new teammate. It looks as if Jack Del Rio is creating that three headed monster that many NFL teams do in this modern era of the game. Thunder and Lightning so to speak. Richardson is that physical runner possible short-yardage goaline back between the tackles. Murray is a big back, but has that 4.4 speed which is deceiving. An upright runner with subtle moves that gets him into the open field. 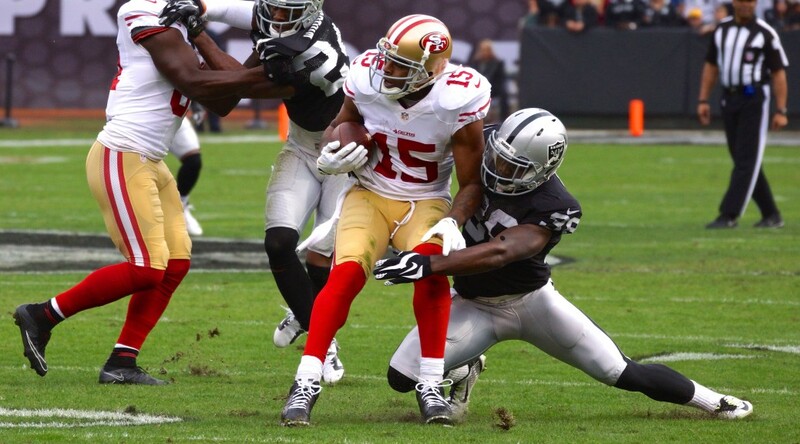 Helu is a very good receiver and does well in pass protection. The knock on Richardson with the Colts, he wasn’t good in pass protection and he didn’t have enough of a burst to get thru the hole. With Murray and Helu never being the featured back in their young NFL careers, Richardson will push the competition at the position. If Richardson can be the back he was his rookie year, the three headed monster looks complete. Richardson believes he can earn the starting role in Oakland after going over the playbook with coach Jack Del Rio on Monday night. Richardson said the offense is similar to what he ran in college at Alabama. Q: When you got cut from the Colts, you had some quotes saying that you expect to be the starter elsewhere. Is that the mindset coming into Oakland? Q: Why didn’t it work out in Indianapolis? Q: When did all of this start to happen with the Raiders? Q: After not averaging four yards a carry over your NFL career, do you think that this is a system that can change that? Q: After having so much success in college, have the last few seasons been humbling for you? Q: Are you aware of the Raiders reputation of being a place where guys come to jump start their careers and is that appealing at all? Q: Does it blow you away that a guy, Chris Borland, your age would retire?